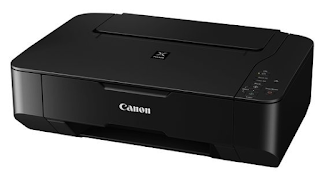 Printer Canon IP 2770 is an economical printer whose performance is equally good with other brand printers. Not a few who use this printer for personal use to office just plain printed documents such as official letters, cover letters, financial statements, and so forth. But behind it all, these printers often makes us confused when Printer Canon IP 2770 can not be used. When printing with the code 5B00 error appears on the monitor screen and orange light - green light up alternately (call it: blinking). While pressing the POWER button, press the RESUME button five times. Led will light turns green to orange last flame orange. (Not to be mistaken because the printer will die 4x total). Led will blink briefly and will flame GREEN. Click "PLAY", then the printer will proceed, then Canon IP 2770 will print one page with the words "D = 000.0"
Then click "EEPROM", and the printer will print the results Resetter Canon IP 2770. One row is as follows: "TPage (TTL = 00000)"